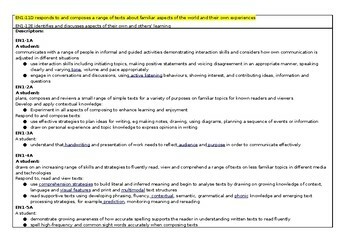 This unit has 6 lessons which could be easily expanded into more. The lessons also include an Art lesson. The focus is to develop students reading and writing skills. 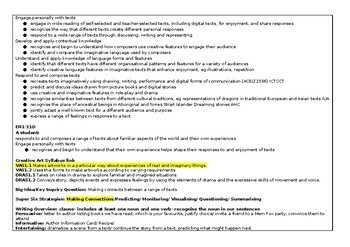 There is a modelled, guided and independent activities for each lesson. Asuccess criteria is also included which you could add to your wall display in your room. 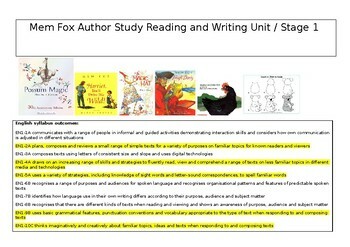 There are no set texts, but teachers are encouraged to used a range of books written by Mem Fox. The aim is to expose students to a rich range of texts written by Me Fox. These lessons could also be adapted for any other Author of Picture books as well. 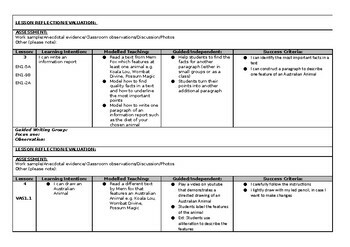 A rich text plan is also included which you can fill out depending on the texts you choose for the unit.